Coworking is the new blazing trend that is successfully on the rise. It is a relatively young idea that allows various businesses to work simultaneously in one coworking space. It is not only cost effective but also a progressive thought as it opens up prospects for growth and diversification. 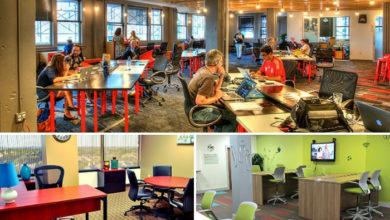 There are many options for coworking space Costa Mesa. 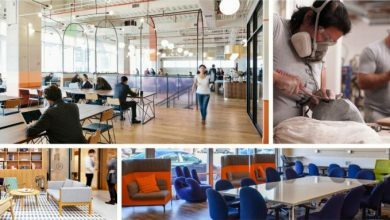 The age-old traditional office structures are now no longer in demand as they are not as effective as coworking spaces. These spaces are now found almost everywhere providing you ease of working with all the required amenities. You don’t have to worry about setting up the office structure from scratch. With these flexible and comfortable spaces, work is an absolute breeze and your focus only on your business. Coworking trend is in its primary phase and expected to grow rapidly in the coming times. 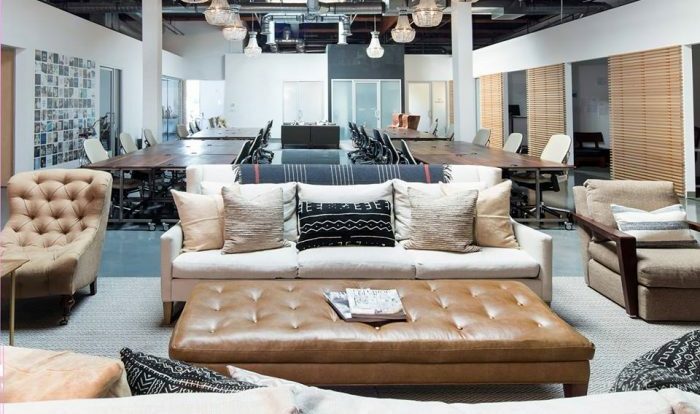 Many big coworking brand names are now venturing into Costa Mesa. These include Premier, WeWork and many more. 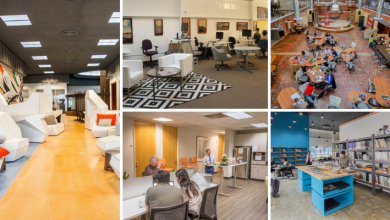 If you are looking for coworking space Costa Mesa, do check out the spaces listed below and choose as per your business needs. These spaces not only provide top-notch amenities but also play a key role in your business innovation and networking. There are numerous coworking spaces in Costa Mesa that provide various amenities for small to large business houses. You can choose from them as per your business requirements and preferences. The list of Coworking Space Costa Mesa is given below with complete details. 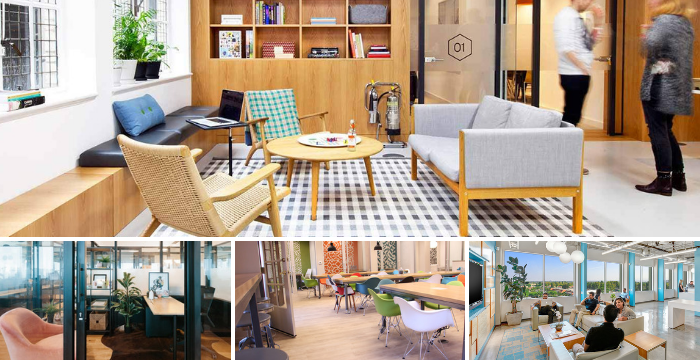 They are located across 34 countries in 102 cities providing all sorts of coworking spaces. 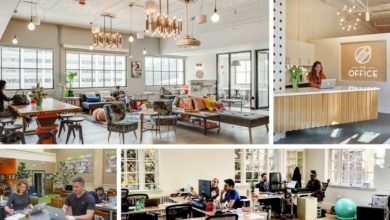 WeWork is one of the biggest brand names when it comes to coworking space Costa Mesa. The comfort of the people working here is given due importance. Hence, the interiors are built in such a way that they enhance the productivity and comfort of the people. 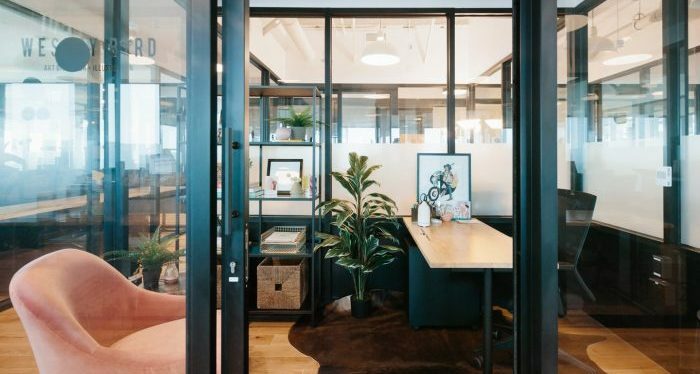 There is currently only one WeWork space in Costa Mesa that is fully functional. Another space will be opening soon in one of the prime locations of the city. They provide hot desks, private offices, dedicated desks, and high technology fully equipped conference rooms. 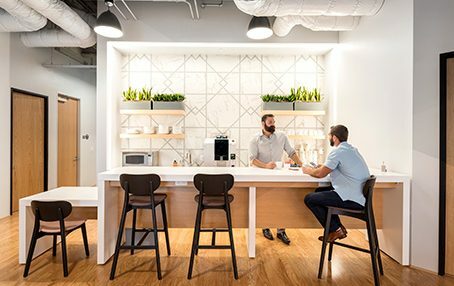 WeWork Costa Mesa also provides a range of amenities that make working here easy and fun. Social and corporate events are also held quite often here. Membership Plans – The prices for hot desks, private offices, and dedicated desks are $370 to $407, $800 to $820 and $625 per month respectively. Currently, the dedicated desk facility is only available at the Park Center location. This coworking space Costa Mesa is situated at one of the prime locations in the city. It is one of the most famous and preferred spaces by the entrepreneurs and coffee lovers equally. This space is best described as an airy, open and welcoming workspace for one and all. Yet it is appropriate for the focus that you need for your business. It houses many big business brands including Neat Coffee which is the favorite coffee spot for many. The vibe here is amiable and warm. Furthermore, this space also provides a haven to churches, non-profit organizations, and real estate agencies, startups etc. Their coworking spaces prices and plans are flexible. They do not make you sign a contract for it either. 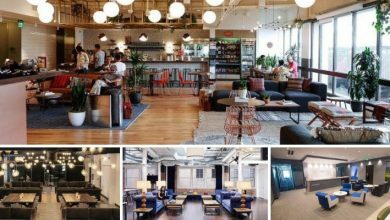 Membership Plans – Fldwrk Costa Mesa provide their coworking spaces for 30 hours, 60 hours and open hours at $158, $242 and $375 respectively. Urban Workshop is another great option for coworking space Costa Mesa. They provide all the required tools for your projects. The workshops here are spacious and airy. This space is best suitable for those who like creating woodwork masterpieces. The worktables are also considerably large here. Moreover, they also provide training for the use of tools. So there’s plenty you can learn around at this coworking space. 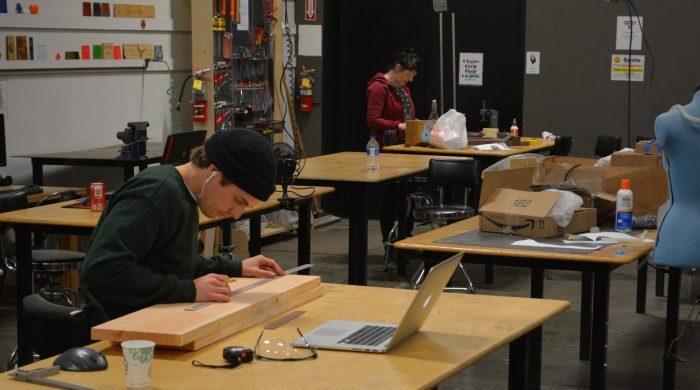 Membership Plans: At Urban Workshop Costa Mesa, three membership plans are available. These are for a month to month agreement, six months’ agreement and twelve months’ agreement. The rental prices for these plans are $199, $175 and $150 respectively. Also, the members can avail of a 10 to 20 percent discount on Austin Hardwood and Industrial Metal Supply. 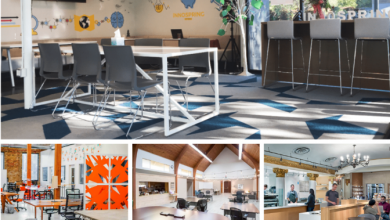 Crashlabs is another great option for coworking space Costa Mesa. It is a flexible and creative work environment. They provide coworking spaces for business sizes ranging from small to large. They provide complimentary snacks and coffee with access to the kitchen and pantry. Furthermore, they provide mail handling and packaging services too. Common rooms and open courtyard seating with free wifi access is also available here. There are many eateries in the nearby area, so good eats are just a walking distance away. Crashlabs is also a great option for event space in Costa Mesa. 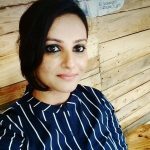 Reach them at the given contact details to know more about their membership plans and coworking spaces. Membership Plans – They provide a monthly membership and weekly trial offer at $375 and $75. You can get the mailbox facility by paying $40 extra on a monthly basis. It is one of the most famous options for coworking space Costa Mesa by the famous Spaceworks. Spaces the MET is surrounded by various eateries and some recreation spots which makes it the most preferred spot for coworking. This office space is fairly large for airy and open work experience. They provide spaces to all business sizes with various business needs. The interiors are as per the corporate requirements, enhancing both productivity and comfort. Membership Plans – The membership prices here begin at $269 per month in which you will get all the required amenities for your daily business operations. Meeting and conference rooms are available here at a rent of $160 per day. Here, dedicated desk, private office, and other spaces are available at a rental of $389, $569 and $269 per month respectively. 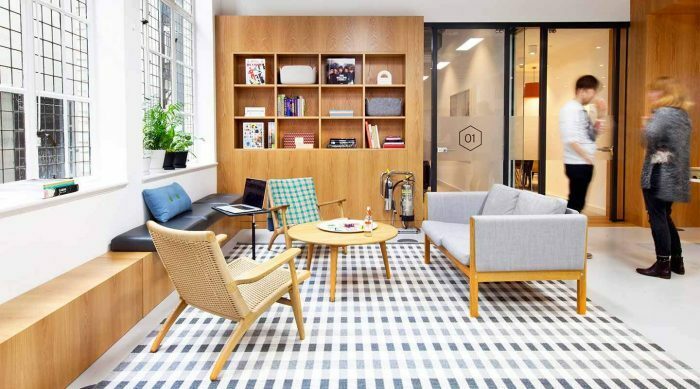 Regus is one of the largest providers of coworking spaces all around the globe. This is one of the best options for coworking space Costa Mesa and Irvine. They are located in various cities in multiple countries. At this coworking space, they provide private offices, virtual offices, meeting rooms, and other coworking spaces. They have various membership plans suitable for different corporate needs. At Regus, disabled services are also provided. You can also avail of the gym facilities nearby. 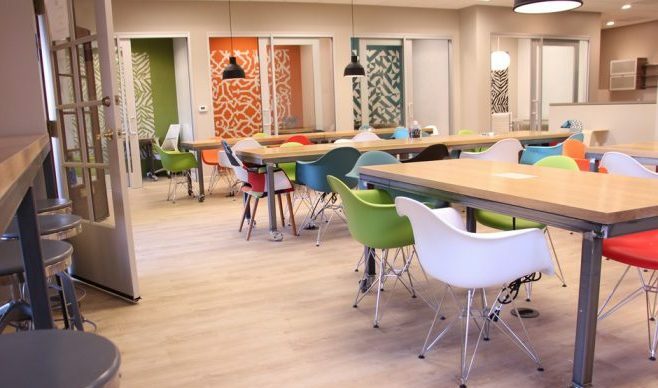 This coworking space provides various options for refreshments so that hunger is not what takes your mind off work. Open air common rooms and terrace areas are also accessible here. Moreover, an onsite parking facility is also provided. The amenities provided may vary as per the address. Membership Details – At this coworking space Costa Mesa you can use their day to day services and pay on the go. Or else, you can avail of the flexible and fixed membership plans which are 5 to 10 days package and monthly/yearly package respectively. This space is fun and vibrant yet allows you to be productive and focused at work. They are located across quite a few cities in the United States. 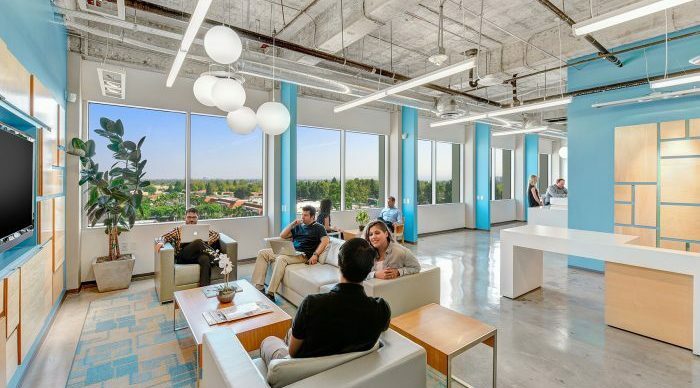 They provide private offices and conference rooms at their Costa Mesa space. You get a 24/7 access to this coworking space along with access to the pantry/kitchen. TechSpace Costa Mesa looks after the ergonomics quite well and strives to provide a welcoming workspace. The infrastructure and interiors at this coworking space are latest and modern. You get access to the most secure and highest quality wifi at this space. This space also provides ample opportunities to your business for growth and diversification allowing you to enhance your networks. It is one of the best options for coworking space Costa Mesa. Membership Plans – The virtual office services and the flexible spaces facilities are available on a monthly rental of $50 and $250 respectively. Their private office spaces are provided for a maximum of 29 people. The prices for private offices accommodating 1-3, 4-5, 6-7, 8-9, 14 and 28 individuals are $750, $2500, $3500, $4500, $7000 and $14000 respectively. Coworking is the best option for freelancers, part-time workers, travelers, startups etc. However, you can also opt for coworking if you have a fairly large business as it will help you cut down your expenses and increase your productivity. What else do you need? While working in a coworking environment you don’t have to worry about a hundred other things but your work. Hence, focus and productivity are given due importance. Above is the list of best options for coworking space Costa Mesa. Do check these spaces out and choose as per your peculiar corporate needs.